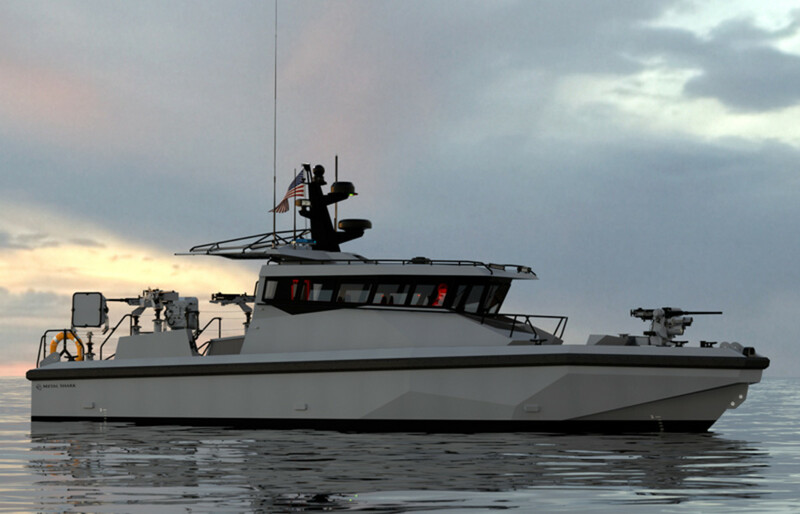 Metal Shark received an $18.5 million contract to supply 40 patrol boats to the Department of Defense. According to a story in UPI, the order calls for the construction and delivery of the boats, as well as training. The U.S. Navy plans to eventually have 50 of the boats. The primary mission of the PB(X) is to patrol beyond sheltered harbors and bays for force protection of other forces and infrastructure. It also includes search-and-seizure missions on intercepted vessels. The boat has a length of 40 feet, with a top speed of 40 mph. Gravois Aluminum Boats, parent of Metal Shark, also builds a line of recreational center consoles derived from its military craft.